﻿ Best Price on DelLuz Bahia Azul in Jaco + Reviews! Featuring well-equipped apartments with free Wi-Fi, Daystar Bahia Azul is set on Jacó Beach. 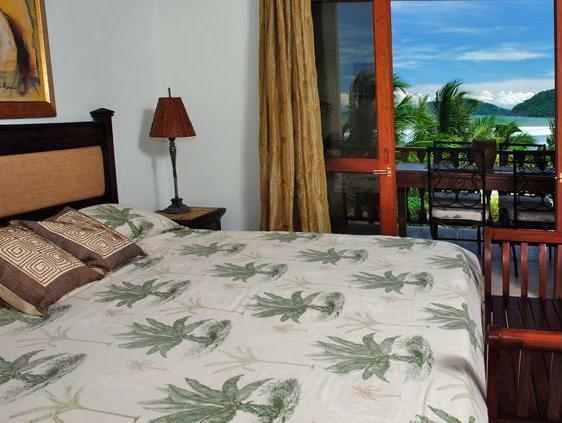 All apartments have a balcony, offering views of the Nicoya Gulf, or the hotel’s outdoor pool. Each air-conditioned apartment features Costa Rican-style décor with tiled floors. All accommodations has a well-equipped kitchenette and a dining area. The living room has a flat-screen TV and opens onto a balcony. There is a selection of shops, bars and restaurants in the center of Jacó, 5 minutes’ walk from the Bahia Azul. Herradura and Pochotal's beaches are within 1.2 mi of the apartments, while Carara Nature Reserve is 20 minutes’ drive away. Check-in takes place at the Bahia Azul's central reservations office. Guests are kindly requested to contact the hotel prior to arrival, and to inform them in advance of their estimated time of arrival, using the contact details found on the booking confirmation. Please note that check in and check out is at Main Pastor Diaz Avenue, 33 feet South of Jaco Park (in front of KFC). Check-in times are from 8:00 to 22:00, Monday - Saturday, 8:00 - 17:00 on Sundays. Please note that American Express cards are not an accepted payment method.